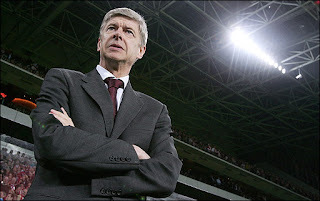 gunners-4life - a Blog by Eugene Gooner: Disappointing Transfer again? 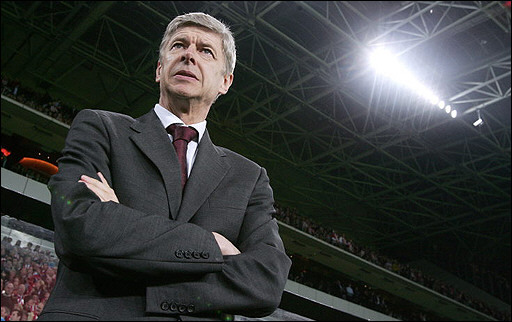 On the end of the 2010/2011 season, Arsene Wenger said that Arsenal would have a busy transfer windows, which means every Gooner eagerly wait which player Arsenal would bring in. However, until now, seems Arsenal hasn't move well in this summer, with only buying Carl Jenkinson, a right back who is also able to play on the central of the defense from Charlton Athletic. No one denied that Arsenal need to strengthen their squad. Arsenal looked really vulnerable at the backline and seems need more depth in their squad. Arsenal was quite promising in the beginning in of June. Media claims Arsenal have reached agreement with Ricky Alvarez, an Argentinian versatile right midfielder from Velez Sarzfield, and Gervinho, an Ivorian winger from French champion, Lille. Alex Oxlade-Chamberlain was also said nearing a move to Emirates Stadium. Then duo Blackburn's Christopher Samba and Bolton's Gary Cahill were said only one step away from Arsenal. However, among those targets, there's no one officially goes to Arsenal. Even Arsenal finally lost Ricky Alvarez, who eventually chooses Internazionale as his destination. It is said that Arsenal doesn't want to spent 10 million on that promising player. He could develop into a 20-million-valued player in the next three years! The bad news doesn't only come from the "into Arsenal" side. Arsenal is in verge of losing some key players because of lack of throphy. Gael Clichy already left the club with only seven million pounds. The skipper Cesc Fabregas would probably the next player who leaves Emirates this summer. The next is Samir Nasri, whose contract is only one year left. Nasri probably would move to the rival Chelsea or Manchester United, or will reunite with Clichy - to Manchester City. Robin van Persie already expressed his disappointment, could probably get out from Arsenal this season. Theo Walcott is targeted by Chelsea new manager, Andre Villas Boas. Galatasaray has already thown a 13.5 million offer for Arshavin. It would be very bad for Arsenal if all of them leave Arsenal. Well, classic problem, money. Not only in transfer but also in the wages. Nasri wants more than 90000 pounds a week, and Wenger doesn't allow it. Arsene Wenger is too tight with the money. Every player has his own value. If you're good, you might get a good salary, that's logical. Sometimes Wenger is right not to buy some overpriced player, but sometimes it's necessary to spend a huge amount of money to buy a world class player. A world class player usually wouldn't be available only for one million pounds. Arsene Wenger might need to learn to spend money. Now it's up to him, whether Arsenal could win another throphy or not. It is true that money couldn't buy throphy, but with money you CAN transfer good players who would help you win the throphy. Remember, big spend meaning a big loss in the beginning, but if you can win a throphy, you could get back what you've spend, even plus the prestige! So, Wenger, with the money available from the board, don't be too tight with the transfer budget spend some money for the waited-so-long throphy!